Multiple files can be uploaded at the same time where previews of images can be displayed as well. There are also options for defining the max file size, thumbnail dimensions (if they will be generated), enable/disable previews and more. 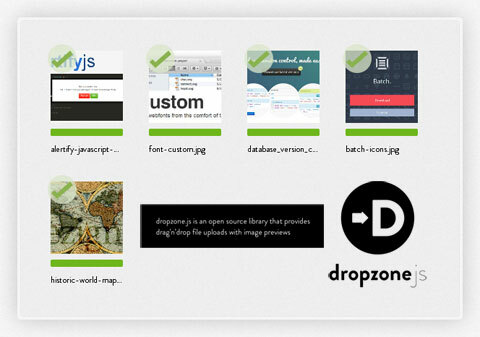 And many events exist for interacting with the drag-drop and upload status.